John is the Director of Development at WiSys. 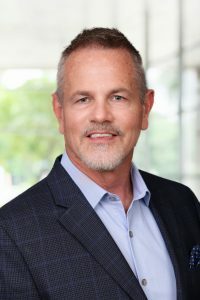 He joined WiSys in 2005 and has been instrumental in the design of the WiSys Business Object Library and is responsible for the architecture and development of the Wisys Agility modules. Prior to WiSys, John was one of the early developers at Macola, where his career spanned over 15 years. John began his tenure at Macola as head of support and documentation for the Operator 10 product line, which is still the leading Municipal Water and Wastewater Plant software product in the industry today. Macola sold Operator 10 in the early 90’s, and John then moved on to become a Manufacturing Consultant for the Progression product line, and became APICS certified. As a product consultant he coordinated and managed many on-site implementations of full Progression manufacturing systems. John then moved on to working on the Quality Assurance team and was responsible for testing and approving all Macola processes. However, John is best known as the manager of the development team which produced all of the Macola Visual Tool applications. Key accomplishments included the Bill of Resource, the Visual Bill Builder, Serial/Lot Trace and Visual Menu Builder. He was also the key developer of the new MRP system for Macola ES. That system, a complete re-write in transact SQL, led to a significant boost in re-gen performance over the Progression version. John was instrumental in moving Macola into the object-oriented world of programming, and took the lead in developing object models for inventory, order entry, bill of material, and Macola security.